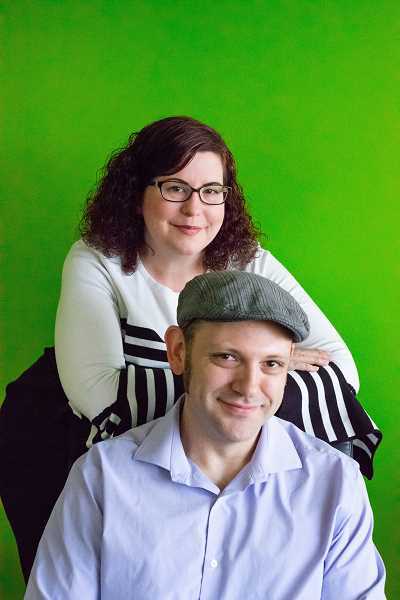 Edge One Media, owned by Nicholas De Salvo and Megan De Salvo, has been selected as the 2019 Tigard Chamber Business of the Year. The pretigious award recognizes a chamber business that has made in-depth contributions to the Tigard community through their business. It means they've been active, involved, interested, and enthusiastic chamber members who want to continue to making Tigard a destination of choice for local business. For more than 15 years, Edge One Media has designed and developed websites and marketing plans and prides itself on creating web presences that become the hub for digital marketing strategies. The company works locally, nationally, and internationally. Over those years, the De Salvos have been involved extensively with a myriad of volunteer projects, giving their time and talent in helping out the Tigard community. "My Grandfather used to tell me, 'Community service is the rent you pay for living in the world,'" said Nicholas De Salvo. "If you asked Megan (my loving wife and incredible business partner), she would tell you that her passion for giving is deeply rooted in her childhood memories as well. So, when Megan and I started looking to grow our business together, one of our core values was giving back to our community. Megan volunteered on every committee she was invited to and I set about supporting her efforts with the digital and creative work our company could offer." An eight-year chamber member and in business since 2003, Edge One Media has made its impact felt within the Tigard Community and beyond. In addition to running their business both with heart, humor and high ethics, over the years, Edge One Media has supported the Tigard community and Pacific Northwest area (particularly non-profits) through a broad range of activities, events, programs and volunteerism, according to chamber officials. Those include being key volunteers with the Tigard/Tualatin Relay for Life (with Megan participating the last eight years and Nicholas for the last six years). Relay for Life is a community-based fundraising event for the American Cancer Society. In addition, Megan was co-chair for the event for the last seven years, growing the Tigard/Tualatin Relay for Life to consist of 17 committee members and 33 teams, raising just under $100,000 raised. Nicholas has volunteered extensively for the relay event as well, spending hundreds of hours designing videos for the annual event as well as coordinating the touching luminaria ceremonies. The De Salvos have also been active chamber members, serving on numerous boards and committees. Megan has served as a chamber board member for five years and Nicholas was the creative talent behind the Tigard Chamber of Commerce's Rebrand and Support for Events. Past honors awarded to the De Salvos include: The Portland Business Journal's Corporate Philanthropy Award in both 2017 and 2018, the Tigard Chamber Volunteer of the Year (Nicholas in 2016, Megan in both 2015 and 2014) and the Tigard Chamber Ambassador of the Year (Megan in 2013). Chamber officials say Nicholas and Megan have made their impact felt on their community, and invite the community to join them when they will be formally presented with the 2019 Tigard Chamber Business of the Year -- along with other Tigard volunteers and businesses -- at Tigard's 2019 Shining Stars Community Awards Celebration. The event is set for Friday, May 3, from 5:30 to 9 p.m. at Embassy Suites at Washington Square. With a theme of "Travel" this elegant-themed event includes dinner, silent auction, dessert dash, awards, and more. Tickets are $60/person.